"We are made refugees in our own country," said a young father of two from Rakhine, Myanmar. 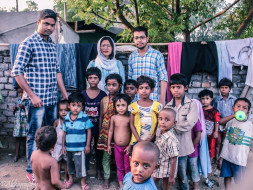 He with other 46 families have made the refugee camp at Kalandi Kunj, Delhi their home after fleeing from Rakhine for fear of persecution and even for fear of loss of their lives. Life has not been very easy for them in India but at least, his kids and the other children can study. An young boy further laments, " We do not have the right to education. No one can study further after completing 10th standard." 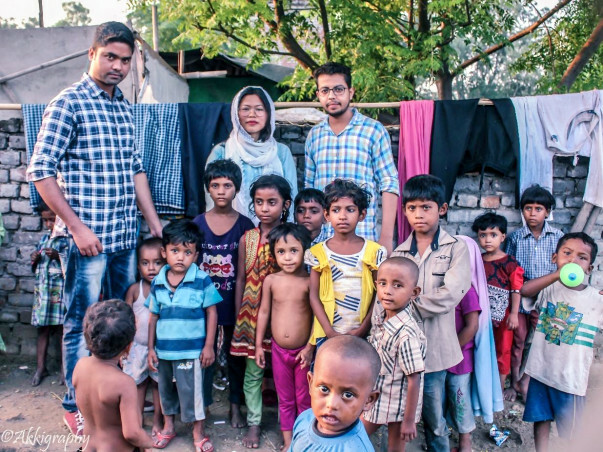 The Rohingyas have fled Burma in thousands and hundreds of them have found refuge in India. "There is no hope of ever going back to Rakhine,"
answered those poor souls when asked if he ever planned to go back to his birth place that refused to recognise him as its citizen. Rohingyas are not just refugees, they are human beings just like us. It pains our hearts to the core to see them, children, women and men living in ramshackle huts. Those huts can hardly be called houses but to them, they are the safest havens. Each family occupies a room that has a curtain to serve as a door. Along the tiny lane that separates the huts, children run and play. Their laughter fills the quiet air, their eyes shine bright with hope oblivious to the fact that their own people are being hunted, tortured and even raped in their own birthplace. But such cruelty is not for the innocent children, for women, men, not for anyone. They need our love and kindness.